© Betty Pumani, Antara (detail), 2017. Courtesy Mimili Maku Arts, Copyright Agency, 2018. Betty Kuntiwa Pumani from Mimili Maku Arts in Alice Springs has won the prestigious $50,000 Wynne Prize for her painting ‘Antara’ (pictured). The Wynne Prize is Australia’s oldest art prize and is judged by the trustees of the Art Gallery of New South Wales. From 753 entries, 42 finalists were selected to this year’s prize, 17 of whom were Viscopy members (see the full list below). The Archibald and Sulman Prizes also saw high representation from Viscopy members. Four of the 43 finalists selected for the Archibald and eight of the 19 finalists selected for the Sulman Prize were Viscopy members. The $40,000 Sulman was won by Joan Ross for ‘Oh history, you lied to me’. The Archibald Prize went to Sydney artist Mitch Cairns for his painting of partner and artist Agatha Gothe-Snape. Jun Chen’s portrait of art dealer and critic Ray Hughes was also highly commended in this year’s prize. The Archibald, Wynne and Sulman Prizes will be exhibited at the Art Gallery of New South Wales from 29 July to 22 October. 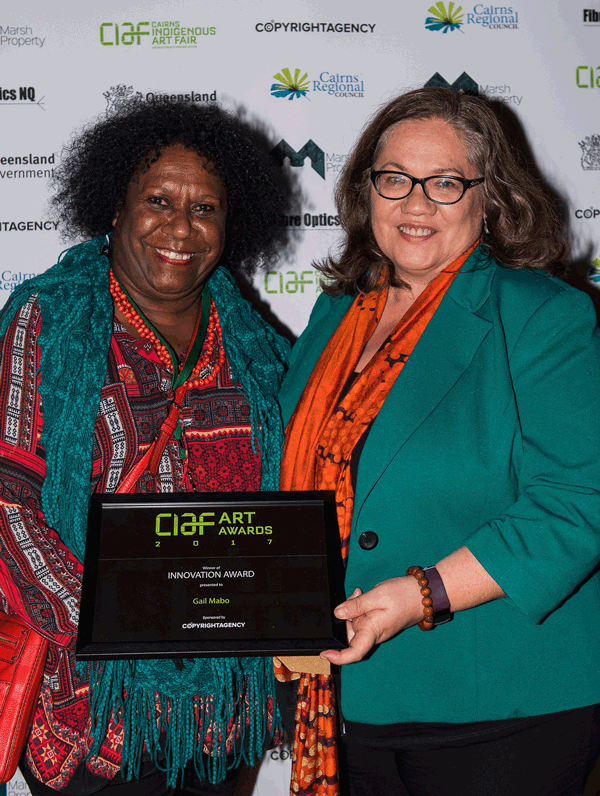 The multi-disciplinary artist whose award included $10,000, reportedly showed great emotion accepting her prize for the creation of a work described as ‘at the most cutting edge of artistic achievement’. South Australian Indigenous artist and Viscopy member, Peter Mungkuri, won the inaugural $100,000 Tasmanian Hadley’s Art Prize for his work titled, ‘Ngura Wiru (Good Country)’, which is a depiction of the artist’s birth place, Fregon in Central Australia. The exhibition is open until 25 August at Hadley’s Orient Hotel in Hobart.